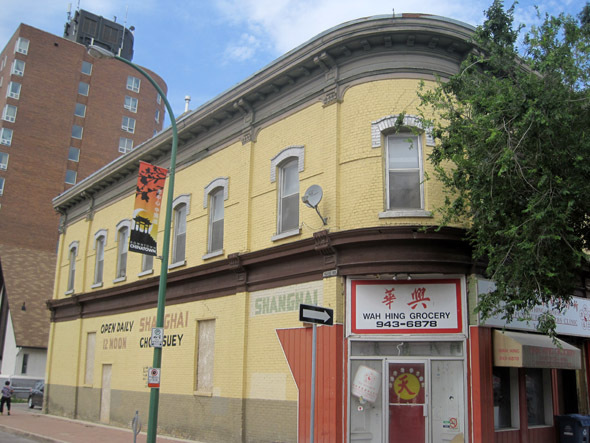 The Coronation Block, or more popularly the Shanghai Restaurant, was a two storey structure with graceful curved ends. 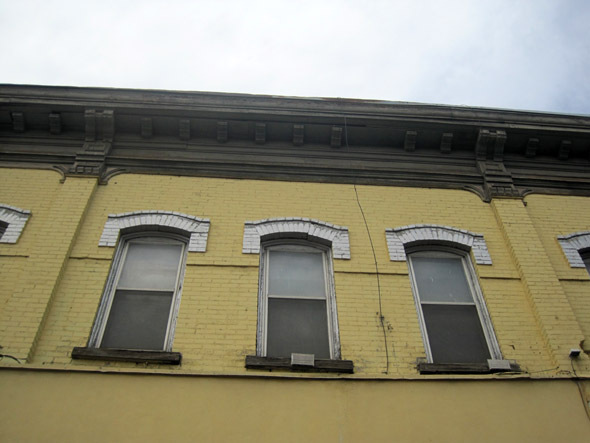 The building had some fine detailing under the metal cornice. 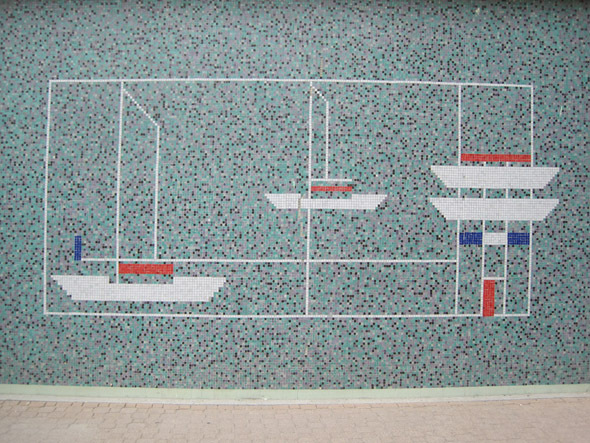 Also an interesting 1960s mosaic depicting chinese junks. Demolished November 2012 to provide a parking lot.